March 19, 2018, © Leeham News: Boeing faces thousands of retirements in its engineering and touch-labor force ranks over the next five to 10 years, with a limited worker pool for replacements. A national economy with a low unemployment rate of about 4.1% exacerbates the challenges of finding talent. These numbers are important to Boeing’s current higher production rate ambitions. They are even more important as Boeing looks to develop the New Midrange Airplane (NMA, aka 797). LNC first discussed the looming shortage of engineers in connection with the potential creation of a new company with Embraer. The Southeast Aerospace and Defence Conference in Mobile focuses on production transformation. Go to Airfinance Journal for program information. Oct. 27, 2016, © Leeham Co.: Morocco is emerging as a major aerospace supplier, taking advantage of its location to Africa and the Middle East and low wages. A wide spectrum of international aerospace companies is located there. Bombardier in August announced it was moving some of its aerospace jobs from high-cost Northern Ireland to low-cost Morocco. Airbus has been in Morocco for 10 years. United Technologies and Safran are among other internationally recognized names in aerospace that are there. When Boeing announced an agreement Sept. 27 with Morocco to expand its relationship with the North African country and pledge to encourage 120 suppliers and thousands of jobs there, it attracted little notice in Seattle, home to Boeing Commercial Airplanes. Feb. 22, 2016, © Leeham Co.: A group of Democratic legislators in Washington State will introduce five bills aimed at repealing some tax breaks and also taking yet another run at holding Boeing’s feet to the fire by tying jobs and tax breaks. The latest effort died in committee this year. 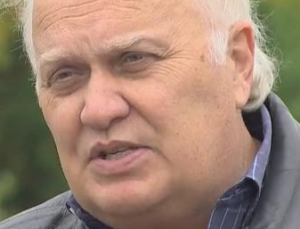 This is the second year in a row by Boeing’s two key Washington unions, SPEEA (engineers) and the IAM 751 (touch labor) to get a bill out of committee to tie jobs to tax breaks. Boeing opposes the effort. Feb. 11, 2016, © Leeham Co. The news yesterday that Boeing is undertaking a new round of cost-cutting has been buzzing around management and labor circles for months. LNC last year began hearing management at Boeing Commercial Airplanes would likely face personnel cuts of 10% to 15%. Cuts were expected within the marketing/sales departments, in part due to struggling sales of the 7-Series airplanes, sources told LNC. The leading labor unions, SPEEA (engineers) and IAM 751 (touch labor), each told LNC last year they expected workforce layoffs were in the future. 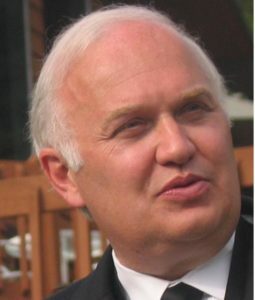 More ominously, a consultant who occasionally worked with Boeing, told LNC that the elevation of Dennis Muilenburg from president and chief operating office to president and CEO (and, eventually, chairman) would make former CEO Jim McNerney’s cost- cutting efforts pale by comparison. Major layoffs predicted at Boeing’s Share Services Group. Work continues to be shifted out of Washington State. Large number of retirements at IAM and SPEEA expected by year end. Airbus pricing pressure, 787 deferred production costs, commitments to shareholders and 777X squeeze cash flow. Dennis Muilenburg, CEO, The Boeing Co.
Jan. 14, 2016: (c) Leeham Co. Blessing a new process in contract negotiations made an agreement possible between Boeing and its engineers’ union, SPEEA, its executive director told LNC in an interview after the surprise deal was announced yesterday. Jan. 13, 2016: Boeing and its engineers union, SPEEA, reached a contract accord months ahead of the September amendment date, SPEEA announced today. We’ll update as we get more information. Nov. 16, 2015, © Leeham Co. Boeing will target “long term liabilities” in its contract negotiations with SPEEA, the engineers union, its president quoted CEO Dennis Muilenburg as telling him in September. Ryan Rule, president of the local SPEEA union, met for an hour with Muilenburg when he was here for a visit by China’s president Xi Jinping. Rule termed the meeting cordial. He told Leeham News last week that Muilenburg wasn’t specific about the “asks” Boeing will seek in contract negotiations next year, citing only “long term liabilities,” which Rule took to mean health care and pension benefits. Nov. 11, 2015, © Leeham Co. Boeing’s two leading unions, the IAM District 751 and SPEEA, are girding for a second try in the Washington State Legislature to retroactivity tie job retention to $8.7bn in tax breaks given by the state in 2013 in exchange for the 777X final assembly line and the airplane’s wing production factory being located in Everett (WA). IAM 751 is Boeing’s “touch labor” union that assembles all the 7 Series airplanes in Washington State. The District also represents some Boeing employees outside Washington. SPEEA is the engineers union that represents all in-state engineers and technicians under contract to Boeing. The 787 assembly site in Charleston (SC) is not represented at this time by any union. Leaders of 751 and SPEEA Monday said they will renew their efforts to tie jobs-for-tax breaks when the next session of the state Legislature convenes in January. Efforts in last January’s session came up short, largely overshadowed by the bi-annual budget session that required special sessions extending into the summer recess because no agreements could be reached. 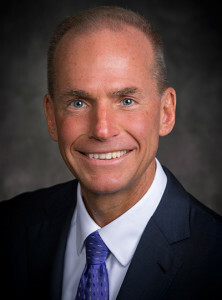 July 27, 2015, © Leeham Co. Dennis Muilenburg, who became the chief executive officer at The Boeing Co. the Tuesday after the Paris Air Show ended (and at which Jim McNerney was front-and-center in his role as CEO), was on the company earnings call for the first time in this role last Wednesday. If anyone was expecting, or hoping for, dramatic announcements or policy changes, they were disappointed. With this Muilenburg’s first earning call, it was McNerney’s last. Predictably, it was a love fest between the out-going and the incoming. Muilenburg and McNerney swooned over how well they worked together and praised each other’s work, accomplishments and vision. The discussion wouldn’t be any other way, absent a scandal of some kind (remember Phil Condit resigning over the air force tanker lease deal, Harry Stonecipher over zippergate). Despite the buzz on Wall Street and elsewhere of the relationship strains between the two men, those days really don’t matter now. What does matter is what comes next under Muilenburg. Jan. 27, 2015: Dennis Muilenburg has been the No. 2 at The Boeing Co. for a little more than a year. 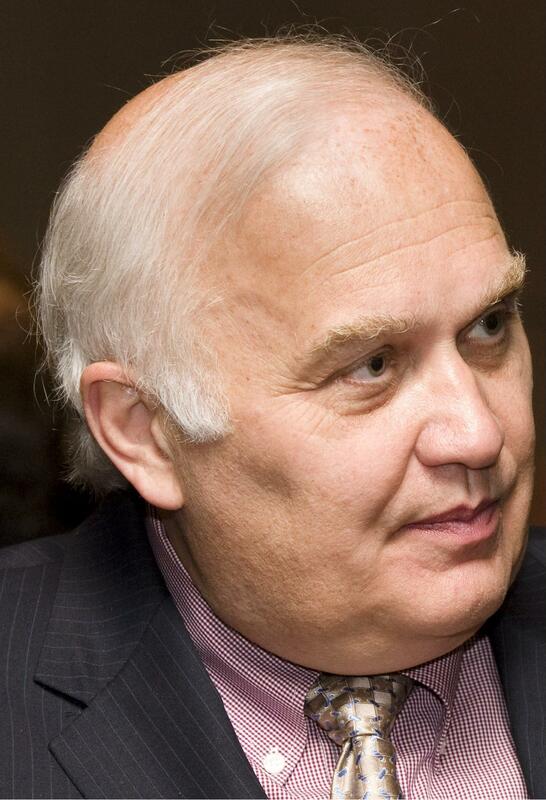 He was named vice chairman, president and COO in December 2013. 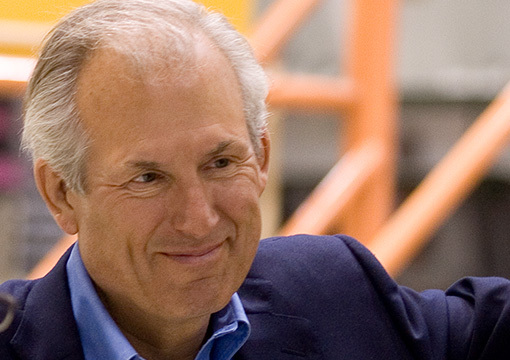 His boss, Chairman and CEO Jim McNerney, turned 65 last August. Sixty-five is the mandatory retirement age, but this has been waived before and McNerney is widely understood to want to stick around through Boeing’s 100th Anniversary in 2016.
non-executive chairman, with Muilenburg assuming the CEO title. If and when Muilenburg becomes CEO, he faces a laundry list of challenges. Deciding whether to take that “moonshot” and launch new airplanes earlier than the 2030 EIS McNerney set as policy.